The parade of appetizers continues as Super Bowl week continues! Let’s talk dip. Easily one of the best inventions, ever. Okay, maybe it’s not an “invention”… most certainly an idea, though. It’s genius. Take something that is warm, gooey and cheesy and dip salty, crunchy chips into it. Consume. Repeat. Best.Idea.Ever. I’ve eaten countless bowls of dips and chips, but somewhere along the way, I missed out on black bean dip, which I realized needed to be rectified immediately. I fall hard for dips, and this one was no exception. 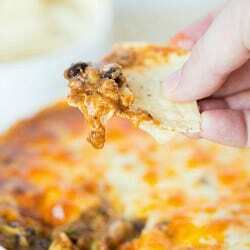 Thanks to pureeing half of the black bean mixture, the dip is thick, cheesy, spicy and utterly addicting. You can’t ask for much more from a dip! The key to all of the flavors in this dip is how they are added, layer upon layer, at different stages of the prep process. 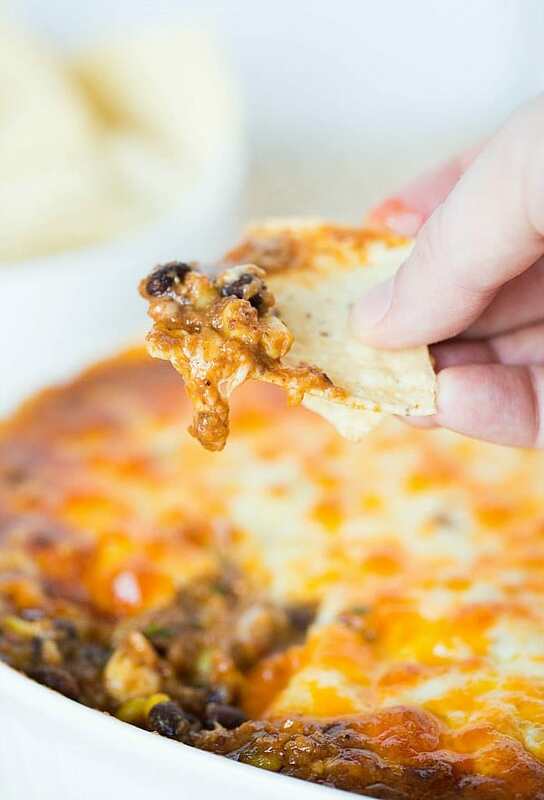 Between the chipotle chiles and chili powder, along with the variety of other ingredients, this dip packs a flavor punch. I can verify that this is football-watching approved; my Chief Culinary Consultant and I made quick work of it while watching some of the playoff games a few weeks back. 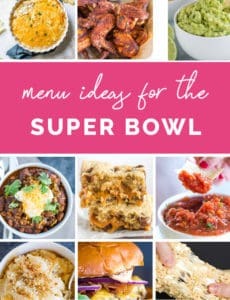 It certainly deserves a spot on your Super Bowl menu! 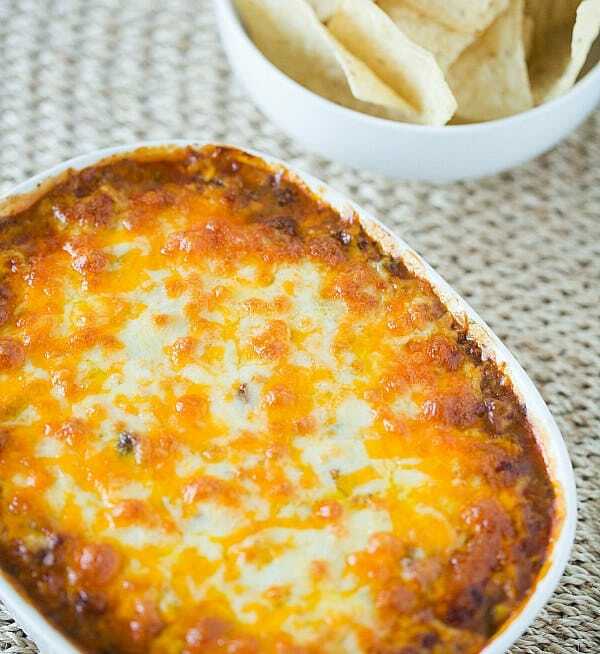 This black bean dip is bursting with flavors, including the distinct smokiness of chipotle chiles. 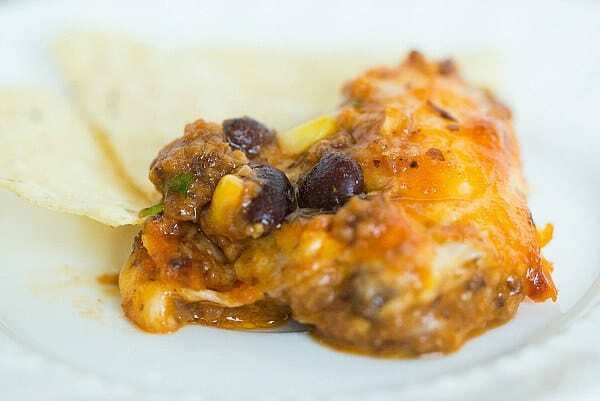 This is a crowd-pleaser, perfect for get-togethers and game days! Preheat the oven to 425 degrees F. Spray a 1½-quart baking dish with non-stick cooking spray and set on a foil-lined baking sheet; set aside. Heat the oil in a large skillet over medium-high heat until it is shimmering. Reduce the heat to medium, add the onion and salt, and cook, stirring, until the onion is softened and translucent, 4 to 6 minutes. Add the garlic and chili powder and cook, stirring, for 1 minute. Add half of the black beans, the chipotles and adobo sauce, and the water, and bring to a boil. Cook until the liquid reduces by about half, 2 to 3 minutes. Transfer the bean mixture to a food processor, add the vinegar and process until smooth, scraping down the sides of the work bowl as necessary. Allow the mixture to cool for 5 minutes, then transfer to a large bowl. Add the rest of the beans, the tomatoes, corn, half of each of the cheeses, and ½ cup of the cilantro. Mix well and season to taste with additional salt and pepper, if needed. Transfer the mixture to the baking dish and sprinkle with the remaining cheese. Bake until the cheese melts and browns around the edges, about 15 minutes. Sprinkle with the remaining cilantro and serve with tortilla chips. Note: You can assemble this dip up to two days ahead of time and keep it covered with plastic wrap in the refrigerator until ready to bake. 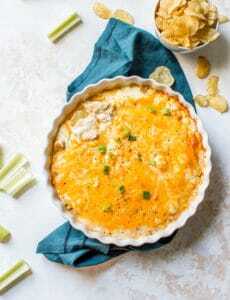 If refrigerated, the dip will need to bake longer than the 15 minutes called for in the recipe. I made this for Superbowl Sunday and it was a big hit! I only used one chipotle pepper and 2 tbsp of sauce and it was the perfect amount of heat for my slightly spice-averse in-laws. I also used a fresh tomato instead of canned. Delicious recipe! The leftover dip is going on tostadas for dinner. I made this yesterday and the family loved it! Great smokey flavor from the peppers and adobe. What can you substitute if you can’t find adobo chiles? Hi Eli, You could substitute some adobe chili powder, if you can find that. 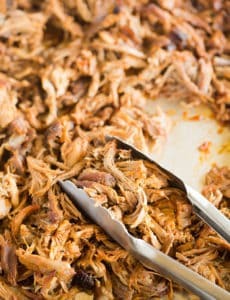 If not, the adobo chiles add a smokey spice… you could add some cumin for the smokiness and some chopped jalapeños for spice.